SUFFOLK COUNTY, Long Island -- Police on Long Island issued warnings Friday after reports of clown sightings popped up this week. The reports even caused one school to take extra security measures Friday. 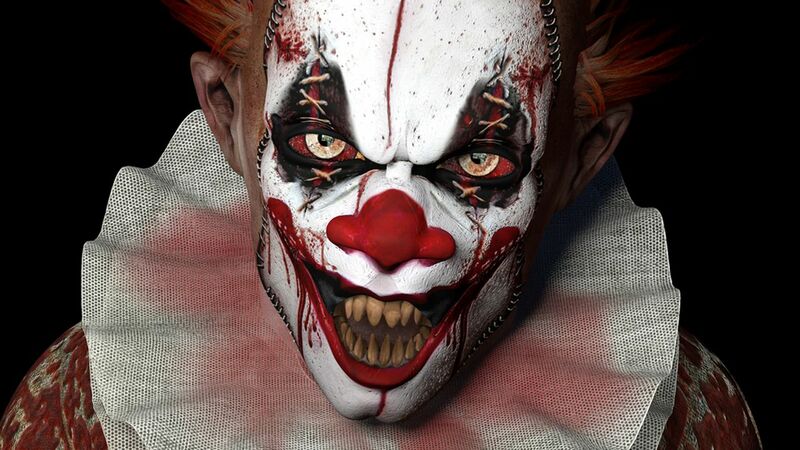 Suffolk County police said they received two calls about clowns Wednesday evening. The first caller said there was a person dressed as a clown in North Babylon. The second report came from Brentwood, saying a group of people dressed as clowns were jumping in front of cars. Officers investigated both reports, and no arrests were made. "While the motives of these individuals could not be determined, the department reminds the public false reporting and intentional harassment or disturbing of the peace can lead to legal consequences," said Stu Cameron, Suffolk County's police chief. Cameron said people involved in activity like this may be subject to violations and/or misdemeanor arrest under New York state law. North Babylon High School was placed on "lock out" Friday when school officials were made aware that it was one of the schools "included in a string of clown-related social media threats made by an unknown person or persons." Police were called to the school and later determined the campus is safe. The "lock out" was lifted at 10:45 a.m.
"Out of an abundance of caution, the high school will remain in a closed campus scenario where students may not leave campus during school hours," said Superintendent of North Babylon School District Glen Eschbach, adding that all actions being taken are for precautionary measures. "As the community may be aware, there have been several reports of creepy clown sightings in areas surrounding the Lindenhurst community with the intent to frighten those passing by. Earlier this morning, district officials were made aware of a Tweet threatening that Lindenhurst would be the next area targeted by the clowns. Please be assured that we have contacted Suffolk County Police, who have been made aware of the situation. Out of an abundance of caution, we will be keeping elementary school children in during recess today and our security team is on high alert. Please report any suspicious sightings to Suffolk County Police. We appreciate your attention and will continue to keep you updated with any additional information."